Would you like free financial education from Allen Private Wealth Advice delivered right to you? Like our Facebook page to receive the latest information on how to live a smarter financial life. We can help you find the right path. Retirement starts with a plan! It’s never too late or too early to start planning. Welcome, my name is Steven Allen and I am a Certified Financial Planner and retirement planning specialist. If you are working and looking to secure and enjoy a comfortable retirement or have already retired and are concerned about the best way to manage your retirement savings then we can help you.  By partnering with Allen Private Wealth Advice you will receive a friendly and personal service and access to our award-winning knowledge and expertise in our specialist areas of retirement planning, superannuation, tax efficient strategies, estate planning and investment management. We aim to be your long-term financial partner on your before and after retirement adventure. Please browse our Frequently Asked Questions to learn more about us and if you would like to meet and discuss your retirement goals at no cost or obligation then please book an appointment. 1. Who gives the financial advice? Steven is qualified as a Certified Financial Planner which is the highest professional credential offered to members of the Financial Planning Association of Australia. Steven has held the CFP credential for over 20 years. Steven was named as Australia’s number one financial adviser in the “Masterclass” by the Australian Financial Review Smart Investor magazine. Steven is one of Australia’s most highly awarded financial advisers having thirteen times been named by Australian Financial Review Smart Investor and Personal Investor magazines as one of Australia’s Top 50 financial advisers. 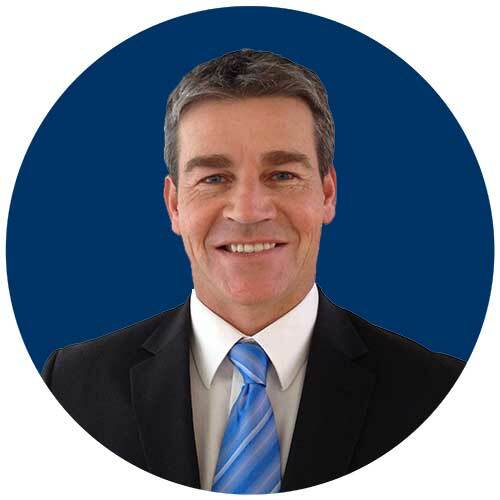 Steven began his financial planning career in 1994 after completing a Bachelor of Commerce Degree (B Com) from the University of Newcastle. 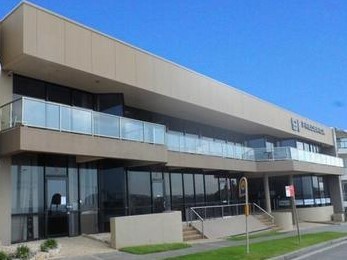 Steven is now Principal of his own Financial Wisdom practice, Allen Private Wealth Advice, located in Merewether. Steven lives in Merewether with his wife, Liesel and children, Noah, Bianca and Isaac. In his spare time he loves to surf, run and play touch football. 2. Who takes responsibility for the financial advice? Financial Wisdom is responsible for the financial advice and services provided by Allen Private Wealth Advice. Financial Wisdom Limited ABN 70 006 646 108 is the holder of an Australian Financial Services Licence ( no: 231138) and is responsible for the financial product advice given to you. Financial Wisdom Limited are part of the Commonwealth Bank Group and have been a respected name in financial planning for over twenty years. During that time Financial Wisdom has earned an enviable reputation for high quality advisory services. access to a broad range of investment, superannuation and insurance products. Financial Wisdom are a Professional Partner of the Financial Planning Association of Australia (FPA). The FPA is the professional association for qualified financial advisers in Australia and we are committed to its Code of Ethics and Code of Professional Conduct. I conduct myself ethically and professionally in every aspect of my work and adhere strictly to the guidelines set out in the Financial Services Guide. This guide provides you with information about the advice that we provide, and the Licensee that we represent: Financial Wisdom Limited. Its purpose is to educate you prior to us providing a financial service. You have the right to ask us about our charges, the type of advice we will give and to whom you can complain if you are unhappy. Our sole focus at Allen Private Wealth Advice is retirement planning for the over fifties. 50% of our clients are still working and are on the countdown to retirement. They are typically between five and ten years away from retirement and are using their final working years to significantly boost retirement savings. They are actively planning, saving and tax-efficient investing so they can enjoy a wonderful lifestyle in retirement. Will I have enough money to retire at age x? How much money do I need to retire on an income of $x a year? Am I on track? How can I invest tax efficiently to grow my retirement savings? Could I be doing something different/better? What are the investment options available to me? Allen Private Wealth Advice will help you answer these questions. 50% of our clients are already enjoying their retirement lifestyle. Our retired clients are concerned about making their money last as long as possible whilst enjoying a wonderful lifestyle along the way. How long will my retirement savings last on an income of $x a year? Can I afford that holiday/new car/home improvement? Will this spending affect my retirement savings? How can I qualify for maximum Centrelink benefits and concession cards? What will happen to my retirement savings if something happens to me? Whilst our clients wish to be informed and sign-off on all investment decisions they do not want to be actively involved in the day to day decision making and management of their investments. Our clients choose to enjoy their family, lifestyle and interests over managing a daily investment portfolio. We do not cater to “DIY” investors who wish to actively trade their share portfolios. 5. What are the costs of receiving financial advice and service? The first meeting is no cost and obligation free. You will be sent a quote in the mail for the cost of a Statement of Advice after the end of our first meeting. The cost of a Statement of Advice will depend on your personal situation, time and complexity. The Statement of Advice will be individually tailored to your personal circumstances and include our advice, knowledge and strategies on how to best meet your retirement goals. There will be no entry or exit fees on recommended investments. 100% of entry fees are rebated back to our clients. We do not recommend exit fee products. To receive ongoing advice and service from Allen Private Wealth Advice we charge a fee as a percentage of your advised portfolio. The percentage will be disclosed in your Statement of Advice. We may also receive an ongoing commission for some insurance products. These commissions will be disclosed in your Statement of Advice. Please refer to our Financial Services Guide for more information on fees. 6. Booking an appointment – What happens next? Congratulations! you’ve booked an appointment. You have now taken the first step towards securing and enjoying a comfortable lifestyle in retirement. The next step is you will receive a very comprehensive questionnaire to start you thinking about your financial goals and financial position. The better we know you, the better the advice we can give you. At our first meeting we will work through this questionnaire together. Our sole focus for this meeting will be to listen and understand your current financial situation and the retirement goals you are trying to achieve. At your second meeting, you will be presented with a clearly written financial plan which has been tailored to your own personal situation. All costs clearly disclosed and explained. After you have had to time to read and consider the Statement of Advice we will invite you back for a third meeting to discuss any of the advice which may need further explanation or fine-tuning. It is very important to us that your decisions should be informed and made with confidence. We will take care of all paperwork on your behalf to implement the recommendations in a timely manner. Your financial plan will need a formal review at least annually for any changes in your personal circumstances, Government legislation or investment markets. We like to provide a friendly and personal service and operate an “open door policy”. We encourage you to speak to us at any time should you have questions about your financial plan. Copyright © 2019 Keeshond Pty Ltd trading as Allen Private Wealth Advice is an Authorised Representative of Financial Wisdom Limited, ABN 70 006 646 108, an Australian Financial Services Licensee Number 231138.